Have yourself looking sweet and tasty with this gorgeous Ladies Candy Queen Costume which is based on Katy Perry's appearance in her video for "California Gurls"
Included is a colourful dress, the upper, a latex bodice is decorated with printed lollipops, ice cream and sweets. 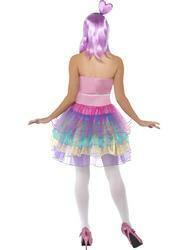 The lower part of the dress comprises of a bright and colourful tutu skirt. Please note: wig is not included. A great costume for wearing to a food, pop stars or celebrity themed fancy dress party. 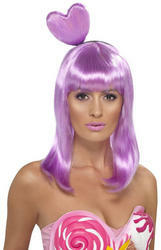 Complete the look with a candy queen wig. 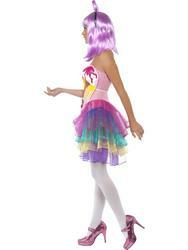 Dress with latex bodice and tutu skirt.